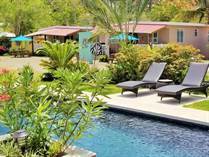 Book one of our vacation rentals for your next stay in North West Puerto Rico. 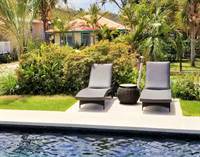 We are licensed property managers and we always do our best to make sure that your vacation is enjoyable. 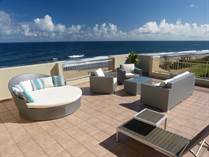 All rentals are located in Isabela or Aguadilla and either have an ocean view or are walking distance to the beach. Please contact us to find out about availability or to make a reservation. Also, be sure to check out our "Local Information" section to find out more about what our area has to offer. "Extraordinary Beachfront Luxury Penthouse near Jobos"
"One of the best vacation rentals in Isabela"
"Campo Mar at Shack's Beach, Villa #1"
"Walk to the beach, plus swimming pool"
"Campo Mar Villas at Shack's Beach"
"Swimming pool, plus walk to the beach!" 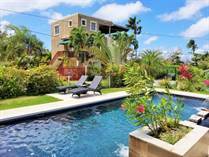 "Villa Azul: Steps from the Beach!" "Resort like complex w/direct beach access"
"Vacation Rental- Walk to the Beach"
"Located between Shack's and Jobos Beaches"
"Charming Bungalow, Walk to the Beach!"